Our commitment to you is to remove the safety, security & reliability concerns of your garage door. 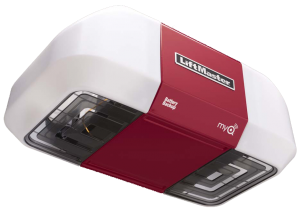 Here at Lift Tech, we understand the annoyance of loud, earthshaking garage doors. Therefore, we offer several whispering models with affordable pricing to ensure your family sleeps peacefully, no matter how late you work. We pride ourselves on finding solutions for all of your needs. Whether it’s special safety concerns, such as an auto lock timer, or one of our many upgraded features for all of you tech junkies out there. We specialize in all residential garage door service, repair, upgrades and preventative maintenance. Not sure how long it’s been since your last tune up? Reduce the risk of an unexpected break down and schedule an appointment today. We’re not just in the garage door business. We’re also in the business of building relationships. Our success relies solely on your satisfaction. There is nothing worse than calling in a professional when the problem is remedied with a quick and easy fix. For this reason, we have added some quick tips to avoid an unnecessary call and expense. Is your door not closing? An issue with the photo eye sensors alignment is a common issue, scroll further to find out how to fix it yourself. Programming remote shouldn’t be a difficult thing to do! Learn how to program your own remote today by scrolling below to find out more! Going away for vacation for a while? Or worried about thieves breaking into your garage door? Scroll below to find helpful security measures. Is the light blinking on the the motor? Check to ensure that both photo eyes sensors are pointed towards each other. As well as each have a solid light on the side. After adjusting the sensors, try operating the door again. 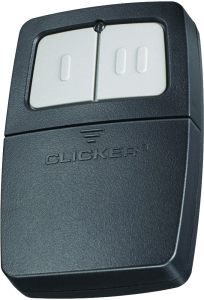 Programming a garage door remote for your home shouldn’t be difficult! Just watch this simple instructional YouTube video below and learn how to program your own garage door remote today. It’ll only take a few minutes! When going on vacation, unplug your motor on the ceiling to prevent any unforeseen issues that may happen while you are gone. This is similar to turning off your water supply when you are away from an extended period of time. just 12 inches of cord. Also do not replace plastic handle. go over any options that are specific to your opener and door. button on the wall button until the light blinks. To unlock, hold the button again and wait for the light to go solid. Serving Las Vegas, North Las Vegas, Boulder City, and Henderson. We are open 7 days a week from 7am-6pm.